1. 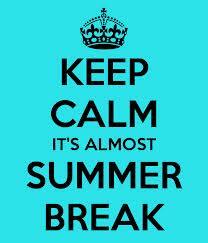 Just two more weeks till summer break! Am I excited? You bet! My plans include to continue training for the Chicago Marathon, take one class and work part time. I know, I know, nothing really exciting. 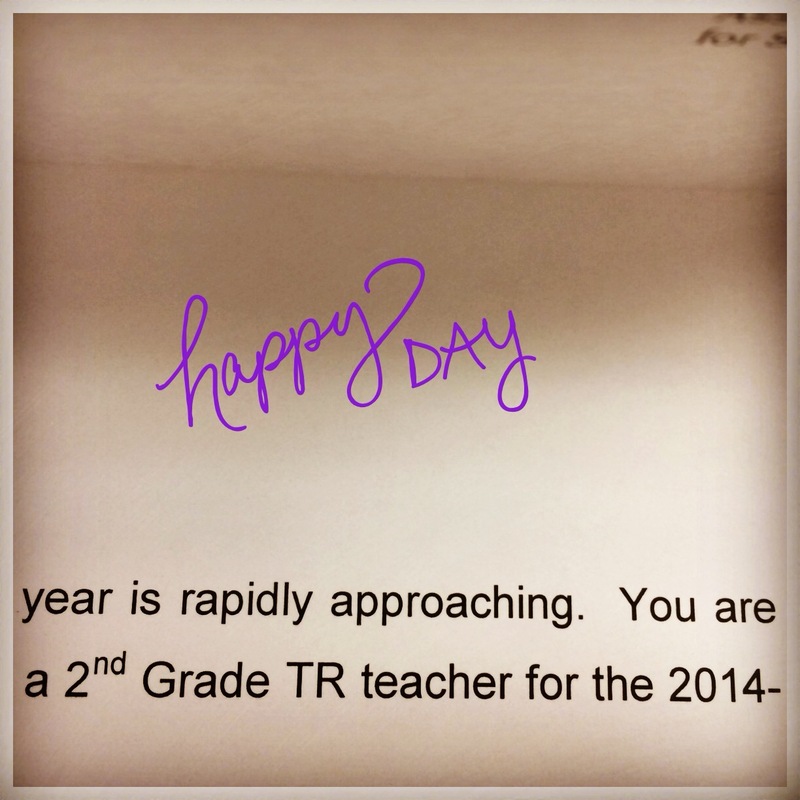 Last week I got my official teaching assignment for next year. I will be moving on up to the second floor to teach 2nd grade. I am very happy about that move. I’ve taught 1st grade for 5 years and am ready for a change. 2. 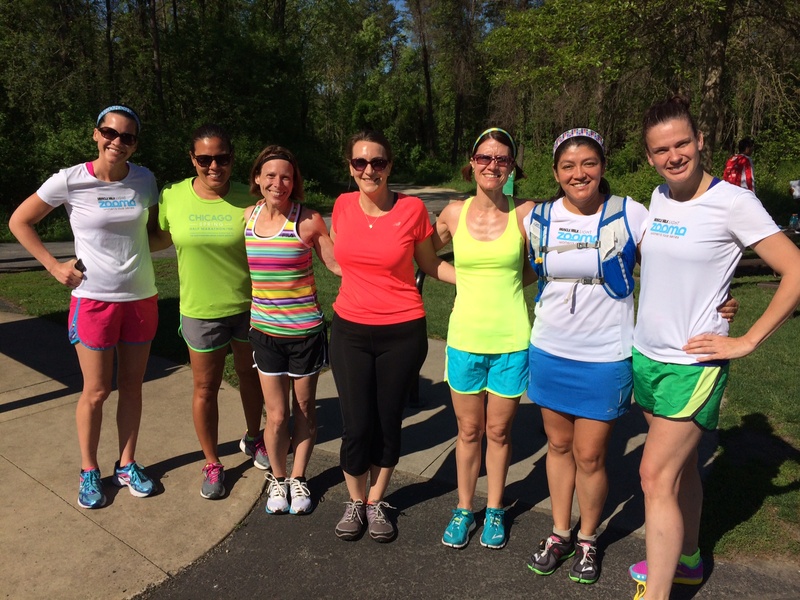 On Sunday, May 25, several ZOOMA ambassadors and I met at Waterfall Glen for a fun run. And it was so much fun! There will be more opportunities to join us on these runs. For more information about the race on August 2 and to learn more about upcoming fun/training runs, visit the ZOOMA website. 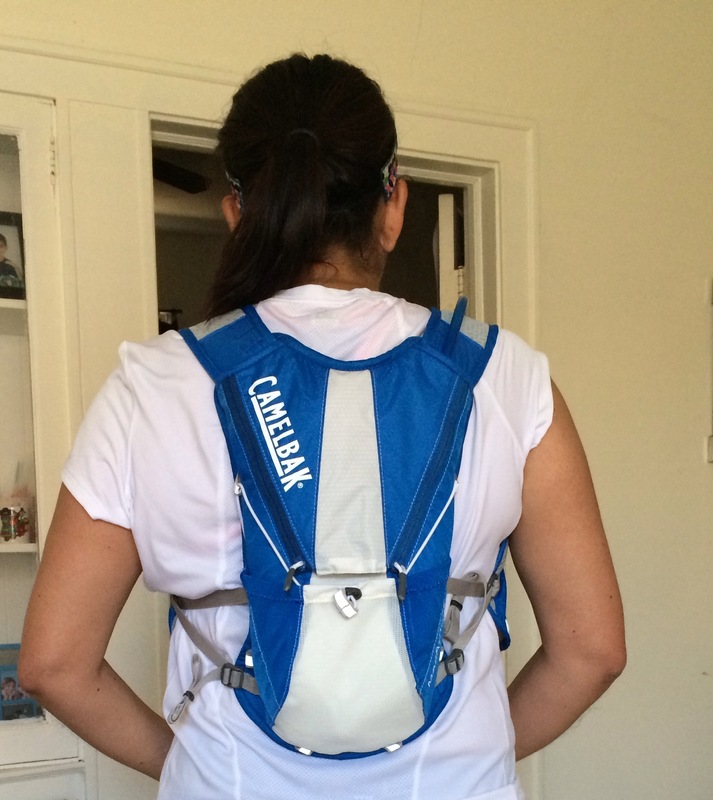 I ran with my Camelback Marathoner Vest. Ha, wasn’t so difficult to fill it up with water but I did have a little bit of trouble actually drinking from it. Luckily one of the girls I ran with told me what I was doing wrong so now I know the correct way to drink from it. I plan to run a few more times with it before I write a full review about it. 3. 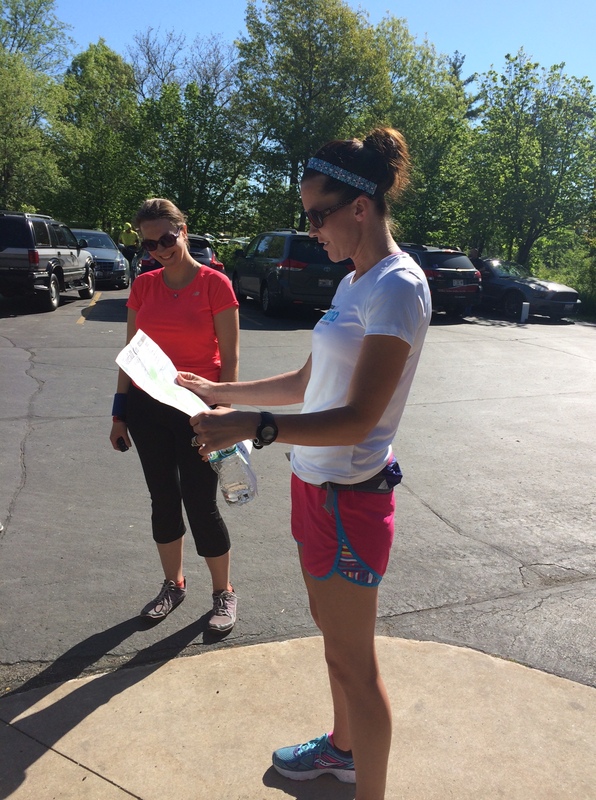 Please check out Kelly the Culinarian’s Vermont City Marathon Recap. She ran a marathon in March with a 15 minute PR and then ran again this past weekend and got a 25 minute PR. 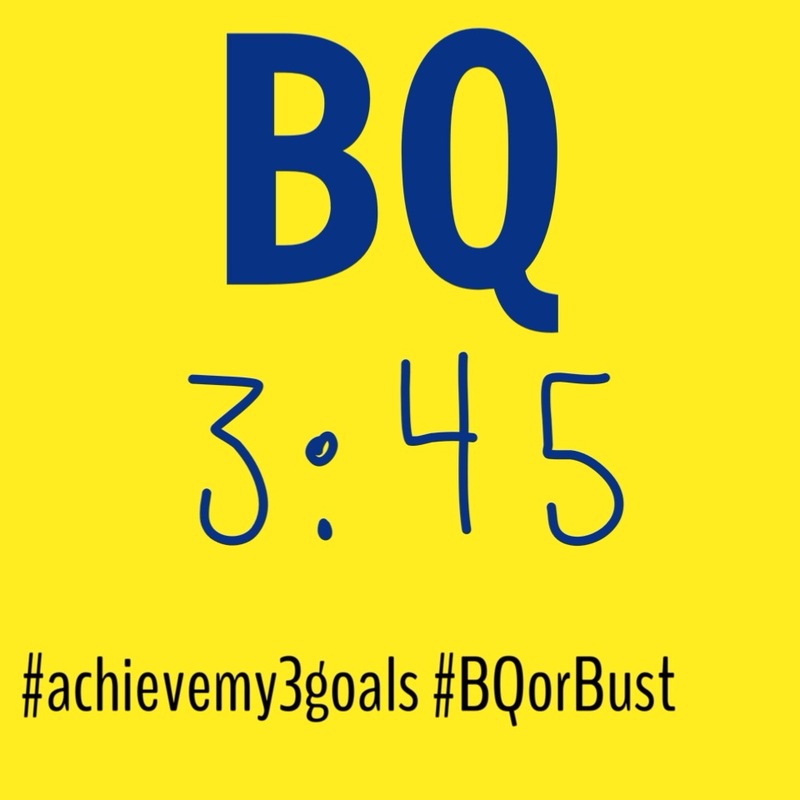 Her goal is to BQ. “Next year, I want to come back and Boston Qualify. When you cut 25 minutes off in two months, shaving off another 14 in a year seems feasible.” So true and CONGRATULATIONS Kelly! As you know, to BQ is also one of my goals. My current marathon PR is 5:16:53. That means I need to cut a little over 1 1/2 hours. Yikes! I am confident that one day I will get there. It might not be this year and probably neither the following year but I will get there. 1. Join me and several other ambassadors for upcoming ZOOMA runs. For more information about the race on August 2 and to learn more about upcoming fun/training runs, visit the ZOOMA website. 2. Need some running motivation? Check out “Meet the Blogger: Too Tall Fritz“. I’ve had the pleasure of meeting Amanda twice: at Disneyworld after the half marathon and before the Chicago Lakefront 50K. She is a busy woman with a job, two kids, a husband, and a few pets. She recently completed 3 marathons and an ultra marathon in April to celebrate turning 40. I ran the same ultra marathon and barely had enough strength to complete a half marathon and yet this lady ran 3 more marathons. Amazing!! 3. I finally got my Camelback Marathoner Vest. It didn’t come with any instructions (not that I really need any) but it looks like a complicated piece. I am worried I will break it while filling it up with water. Shouldn’t be that complicated right? I’ll let you know how I like it. BONUS: Don’t forget to enter my Injinji giveaway. I will announce the winners on Saturday, May 24. Injinji is having a Memorial Day Sale so go to their website to save 30% on selected styles.